Learn how Fujifilm is leveraging more than 50 years of image content management experience, and how as an industry leader in virtualization and shared architecture we are creating the most comprehensive VNA solution available today. 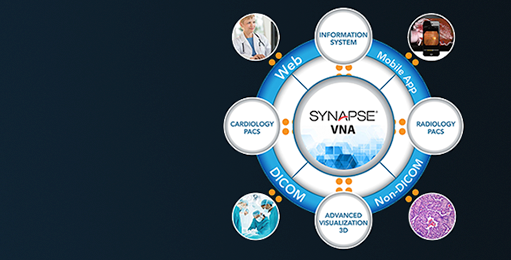 Synapse® VNA is a patient-centric application neutral highly scalable organizational image content management solution. Synapse® Mobility is a feature rich DICOM and Non-DICOM image and report viewer. SYNAPSE 3D was designed with extensive input from clinicians to support an intuitive and logical workflow for Radiologists, Cardiologists and other clinicians.